If you enjoy cooking meals at home but don’t like battling traffic in Jakarta just to get to the supermarket, on-demand food delivery apps may be your thing. Naturally, you’ve got choices like Berry Kitchen, hyperlocal grocery service HappyFresh, and the on-demand courier option from Go-Jek. But there’s also another startup we’ve kept an eye on. 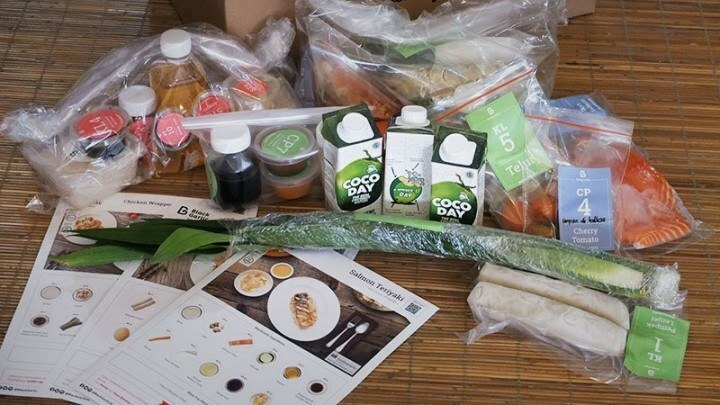 Late last week, Jakarta-based meal kit delivery service Black Garlic told Tech in Asia that it received a seed funding round of an undisclosed amount from local venture capital firmsConvergence Ventures and Skystar Capital. The money will be used to scale up the company’s operations in the Jakarta metro area, and to diversify Black Garlic’s offerings. Co-founders Michael Saputra and Olivia Wongso are no strangers to Indonesia’s food and beverage industry. Michael, Black Garlic’s CEO, is also the co-founder of Jakarta’s Klik-Eat, an online food delivery firm that he sold to his Japanese investors in September 2014. Olivia, on the other hand, knows food. Her father, William Wongso, is a serial restaurateur and one of Indonesia’s most famous culinary experts. He is recognized throughout the nation, and even had his own cooking show on national television. This makes Olivia, Black Garlic’s chief product officer, a well-connected person in the nation’s culinary game. Black Garlic has a similar concept to Blue Apron in the US, a firm that aims to make home cooking accessible to everyone. But while Blue Apron focuses on high-quality ingredients and a nice cooking experience, Michael says Black Garlic is instead geared toward solving a problem for people in Indonesia’s urban areas. According to the team, Black Garlic’s service is designed to make the idea of home cooking a simple decision, rather than a daunting trip to the grocery store, or an activity that will take up a lot of time at home. Michael and Olivia say the kind of people who use Black Garlic are middle-class affluent consumers, who want to take care of their meals for roughly two to three days out of the work week. Michael adds that the service is also great for families that have live-in maids who cook, as the instructions in each box can show them how to prepare each dish. “A lot of the customers have maids, then they suddenly become super maids,” Michael quips. Olivia adds that Black Garlic currently has around 1,000 customers who have tried the product. Of that number, the team claims 50 percent are active users, meaning they’ve placed an order in the past three months. That said, Black Garlic has only been running for a few months, so it may still be too early to project its success based on the current number of active users. 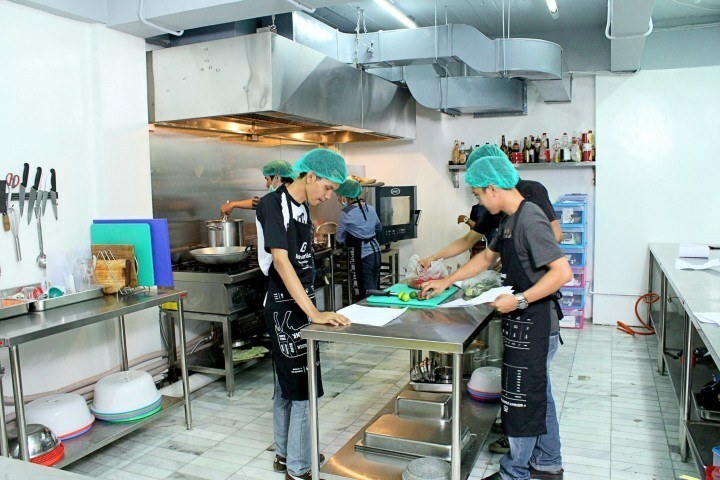 One of Black Garlic’s main competitors in Indonesia is undoubtedly HappyFresh’s serviceHappyRecipe, which lets users choose from a menu, see the ingredients, and read cooking instructions. However, it seems that HappyRecipe still doesn’t allow users to order all the ingredients in one bundle. This may end up proving to be expensive, and cause headaches when routing around the site looking for ingredients. Berry Kitchen, on the other hand, does have ready-made meal packs for home cooking. 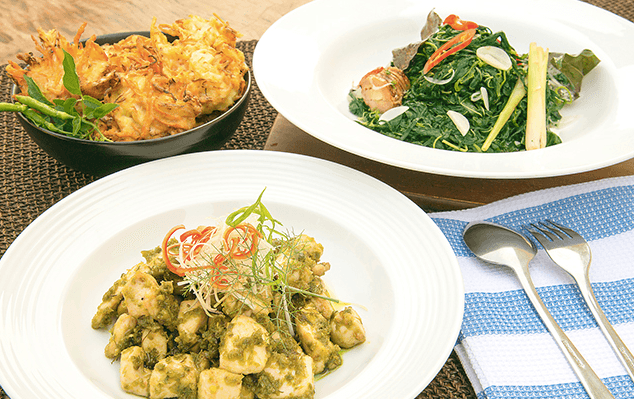 Its prices fall between IDR 60,000 to IDR 85,000 (US$4.33 to US$6.13) per portion. Black Garlic’s prices for family packs start at IDR 30,000 (US$2.16) per serving, and provides the option to order five different meals per week in one bundle, which costs IDR 600,000 (US$43.26). Founder and managing partner of Convergence Ventures Adrian Li says he orders from Black Garlic often.